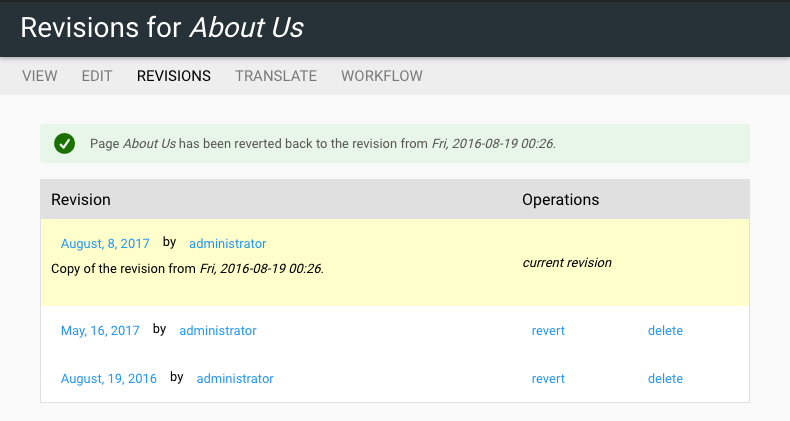 Stacks allows you to keep track of revisions of content. For example, when you save changes to a Basic Page, a revision of that page is created. You have the ability to revert back to any revision you like at any time. 3. When reverting back to a previous revision, Stacks will create a copy of that revision and mark it as the current version. This allows you to maintain a detailed history of revisions so you do not need to worry about losing track of your changes.